Today Google has made an app that was previously exclusive to its Nexus, Pixel, Android One, and Google Play Edition devices available for all Android phones and tablets running version 5.0 Lollipop or newer. 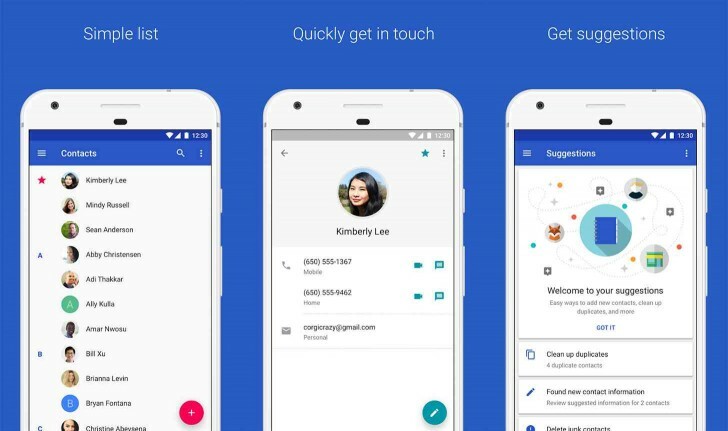 We're talking about the Google Contacts app, which is now downloadable from the Play Store even if you're not part of the Nexus, Pixel, Android One, or Google Play edition clubs. It comes with Material Design and represents Google's vision of what a Contacts app should be. Once you've installed it, you can use it instead of your phone's built-in Contacts or People app if you find it better or more aesthetically pleasing. The newest version lets you merge duplicates from within the contacts list, and gives you automatic suggestions for adding information to your existing contacts. Google Contacts backs up the contacts in your Google Account to the cloud, allows you to view contacts by account, as well as easily add and edit contacts and related information. It's a free download.